"I ventured to Japan my Senior year of Rollins with no knowledge of Japanese, and a pocket guide of not so useful phrases. However, through my blunders and risk taking I met a colorful group of International friends...Together, with a ragtag trans-continental assortment of International students, I was able to scale Mt. Fuji and Karaoke till dawn, navigate a train system in a language that makes no use of the English alphabet, and somehow, amidst the fun, learn more than I ever thought I would." — Rollins College Alum. 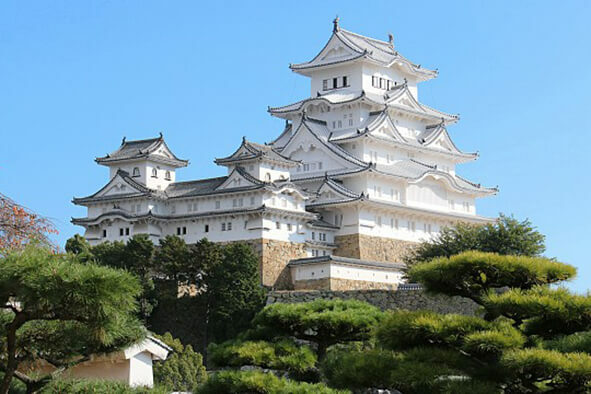 To learn more about the culture of Japan, students take courses in Asian Studies and live in traditional Japanese dorms or homestays in the city of Osaka! Situated in the heart of Japan’s Kansai region, Kansai Gaidai Univ.. is close to Osaka (one of the world’s largest cities), Nara (Japan’s ancient capital), and Kyoto (over 15 UNESCO World Heritage Sites). This exchange program offers students a truly unique opportunity to spend a semester in Japan; learning Japanese, studying a wide range of courses, and exploring an ancient nation rich in culture, religion, art, food, and natural beauty. Class sizes are small, and all courses are taught in English (aside from Japanese language courses). This program is a great fit for students studying History, Anthropology, Art History, CMCS, Sociology, Religion, International Relations, and International Business. The orientation program begins with a welcome service that assists students arriving at local airports and helps students travel by shuttle bus to the dormitories on campus. All students live in the dormitories during the week-long orientation which covers immigration information, language placement tests, and other administrative first-steps, as well as introducing students to Japanese life and culture. A campus tour is also part of the orientation, and students may choose to participate in an optional tour to Kyoto for a small, additional fee. You are responsible for booking your own flight. Pick-up service is available for all new international students at three locations: Kansai International Airport (KIX), Osaka Itami Airport (ITM and also known as Osaka International Airport), and JR Kyoto Station. US citizens must obtain a student visa before departure through the Japanese consulate in the US. For more information about the visa process and visas for non-US citizens, see our Passports and Visas Page. Established in 1945, Kansai Gaidai is an accredited, private institution with about 13,000 students. The University has a demonstrated commitment to international education that shows through the relationships it has established with more than three hundred institutions around the globe. Courses are taught by Kansai Gaidai faculty and instructors. Student support and services are provided by the staff of the Center for International Education which oversees the international student dormitories, all homestay arrangements, and all international student activities, including the orientation program. Kansai Gaidai is situated in Hirakata City, just over a thirty minute train ride from Osaka City, the second largest metropolitan area in Japan. The ancient cities of Kyoto and Nara are also close by—both within about an hour train ride. Between Osaka and Kyoto and Nara, students are able to experience Japan’s ancient traditions, temples, and arts, while also experiencing the vibrant bustle of modern Osaka City, a center for commerce and pop culture. The curriculum at Kansai Gaidai includes Japanese language courses and courses taught in English in the Humanities, Social Sciences, and Business/Economics with a focus on Asian studies. Students do not need a background in Japanese to participate on this program, though all students must take the five-credit spoken Japanese language class. Courses in Japanese reading/writing are also available for interested students. For students with a background in Japanese, appropriate course level is determined by a placement test upon arrival. In addition to the Japanese language courses, most students will select additional courses in English—all courses in English earn three credits each. For a full list of courses and further details about the curriculum, please click here. Some of the courses integrate field trips to destinations of interest near the Kansai Gaidai campuses—these include museums, temples, historic sites, business centers, and companies. Expenses associated with these course-related trips are subsidized by the university. The number of exchange places available on this program depends on how many students Kansai-Gaidai sends to Rollins. The number of available exchange places changes year to year and exchange places will be allocated to Rollins students based on the merit of the application. Exchange places are not guaranteed and interested students should visit IP for advising. There are two housing options available to students: on-campus international student dormitory and homestay with a Japanese family. Homestay: The homestay certainly offers the best opportunity to learn about Japanese culture and practice the language; however, some students may find it difficult to adjust to family schedules and household rules and since some homestays may be far from campus, the commute to classes may seem inconvenient. Students in a homestay live in a single room and share the family’s laundry facilities. On-campus residence hall: The four dormitories are located in Japanese neighborhoods within a 20 minute walk to campus. Rooms vary from traditional dormitory style double rooms with hallway shared bathrooms, to apartment style. All rooms are in a Japanese style. All rooms have internet access and all dorms have coin-operated laundry facilities and other common spaces for students. Meal arrangements vary depending on the housing selected. Students in homestays are provided with two meals a day during the week, and three meals a day on the weekends. There is no meal plan in the dormitories—instead, students can use shared kitchens supplied with all basic cooking and eating utensils. Students can also eat at university cafeterias and local restaurants. Kansai Gaidai offers several unique activities for international students. The Speaking Partner program pairs local Japanese students with international students to allow for language practice—however, it often leads to other activities and the local student can be an excellent resource for the international student. The Experience Japan program features events and activities planned and led by local students for international students—these include day trips, sports, cultural activities and cooking lesions. International students can also join the student clubs at Kansai Gaidai—these run from soccer, to various martial arts, to cultural activities like the tea ceremony club or the flower arrangement club. Semester breaks and holidays provide opportunities for wider travel and downtime during which students can explore the campus and nearby neighborhoods. Osaka City, Kyoto and Nara are easily accessible via short train rides. Students may also travel easily to Tokyo and other destinations on the main island of Japan. Tuition and program administration, accommodation, complete medical and emergency insurance, orientation, and on-campus activities.